Interest for GeeksHive model grows geometrically. 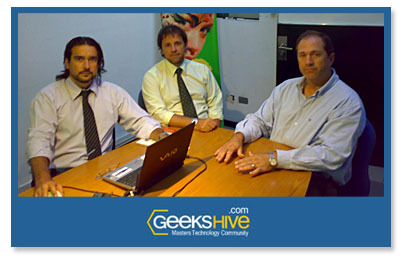 In the same manner, during the first months of 2009, GeeksHive International is planning presentations and launches all over the country. “The community is growing with giant steps. We need to trust the model strongly; following this path we will achieve great things during this year and the following one” stated Sebastián Borrás during the summon.